Arianit Bytyçi is the Director of the Public Communication Office in the Prime Minister’s Office of The Republic of Kosovo. 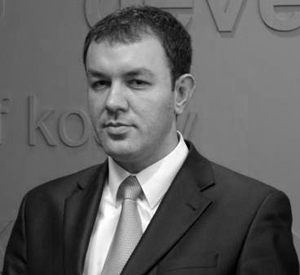 While studying Architecture at the University of Prishtina, Arianit kicked off his career in 2000 as Member of Presidency of the Democratic Youth of Kosovo. Prior to being appointed to his current position, he served as Editor-in-chief of the Democratic Youth of Kosovo’s Magazine “Ritmi”, Senior Officer for Public Relations in the Democratic Party of Kosovo, and Head of the Communication Sub-group within Working Group on Public Administration Reform.